SAO JOSE DOS CAMPOS, Brazil, August 8, 2011 (ENS) – Two publicly traded aircraft manufacturers and the Inter-American Development Bank will jointly fund a sustainability analysis of renewable jet fuel sourced from Brazilian sugar cane. Last month, the bank announced a regional cooperation grant to help public and private institutions develop a sustainable biojet fuels industry. The Amyris study is the first to be financed under that grant. Shouldering the funding with the bank are The Boeing Company and Embraer S.A., the world’s largest manufacturer of commercial jets up to 120 seats. For the first time, the study will evaluate environmental and market conditions associated with the use of renewable jet fuel produced by Amyris Brasil S.A., a majority-owned Brazilian company, a subsidiary of California-based Amyris. Amyris is a renewable products company that uses its industrial synthetic biology technology to convert plant sugars into a variety of hydrocarbon molecules that can provide sustainable alternatives to petroleum-sourced products. The global conservation organization World Wildlife Fund will serve as an independent reviewer and advisor for the analysis. “Emerging renewable jet fuel technologies have the potential to reduce greenhouse gas emissions significantly, as sugarcane ethanol in Brazil has already proven,” said Arnaldo Vieira de Carvalho, leader of the IDB Sustainable Aviation Biofuels Initiative. “This study will examine the overall potential for sustainable, large-scale production of alternative jet fuels made from sugarcane,” he said. 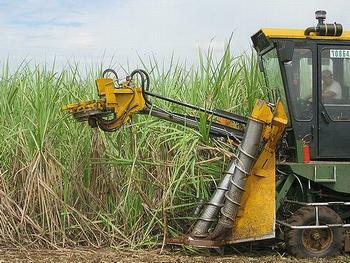 In 2010, the U.S. EPA designated Brazilian sugarcane ethanol as an advanced biofuel due to its 61 percent reduction of total life cycle greenhouse gas emissions, including direct and indirect land use change emissions. The jet fuel study will be led by ICONE, a research think-tank in Brazil with extensive experience in agriculture and biofuels analysis, and reviewed by WWF. “We’re eager to contribute to this study as one part of a growing international effort to reduce the fast-growing emissions from aviation and protect the critical resources on which we all depend,” Ogorzalek said. A majority of the 190 governments belonging to the international body that oversees civil aviation have agreed to reduce greenhouse gas emissions from aircraft. The decision, taken in October 2010 by the International Civil Aviation Organization, will cover 90 percent of worldwide air traffic. The governments agreed to cap greenhouse gas emissions from international aviation at 2020 levels, and to improve fuel efficiency by two percent annually to 2050. Scheduled for completion in early 2012, the study will include a complete life cycle analysis of the emissions associated with Amyris’s renewable jet fuel, including indirect land use change and effects. “Collaborative research into the cane-to-jet pathway is important for diversifying aviation’s fuel supplies, and also builds on the strong renewable energy cooperation established between the United States and Brazil,” said Boeing Vice President of Environment and Aviation Policy Billy Glover. 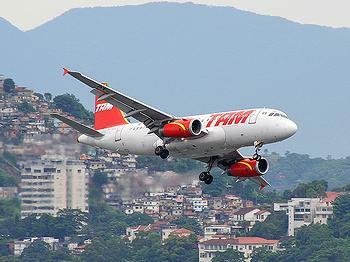 “With aviation biofuel now approved for use in commercial jetliners, understanding and ensuring the sustainability of sources that can feed into region supply chains is critical and Brazil has a strong role to play there,” Glover said. “This project also expands upon existing collaboration between Amyris, the State Government of Queensland, and Boeing,” he explained. The study also will include benchmarking of cane-derived jet fuel against major sustainability standards, including the Bonsucro, the Roundtable on Sustainable Biofuels and the IDB Biofuel Scorecard, which is based on the Roundtable’s criteria.